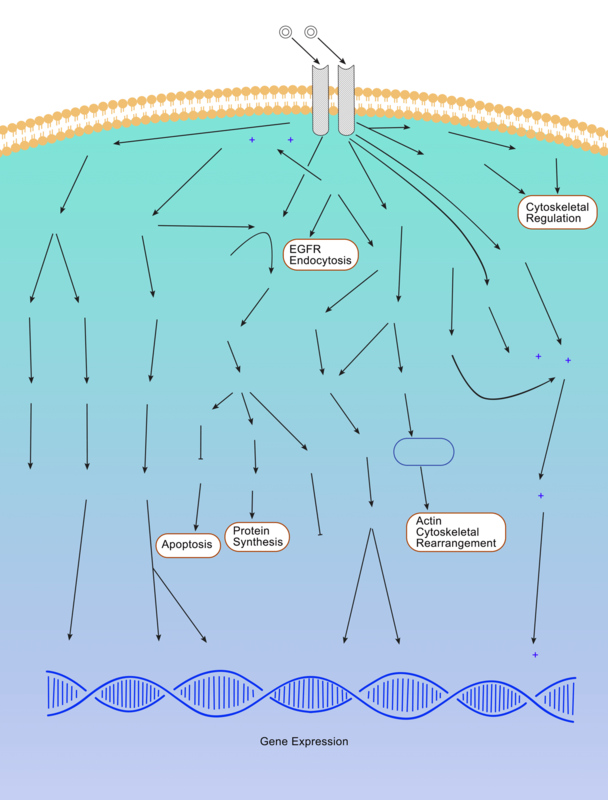 Click on the targets in the map below to find Elabscience products related to the EGFR Signaling Pathway. EGFR is a glycoprotein located on the surface of cell membranes. It belongs to the tyrosine kinase type receptor and is activated by binding to ligand. VEGFR is transmembrane with a molecular weight of 170KDa. Studies have shown that there is high or abnormal expression of EGFR in many solid tumors. EGFR is associated with tumor cell proliferation, angiogenesis, tumor invasion, metastasis and inhibition of apoptosis.